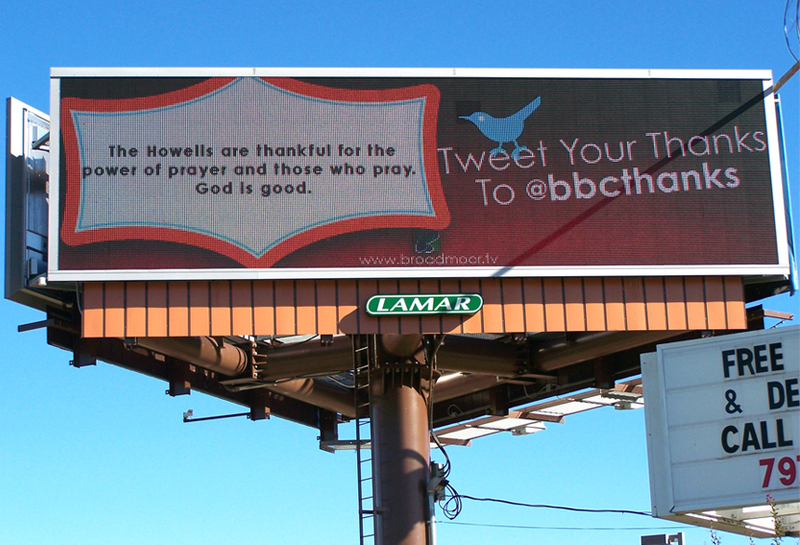 Broadmoor Baptist Church in Baton Rouge, LA utilized Lamar digital Bulletin billboard capabilities. During the thanksgiving season individuals could live tweet what they were thankful for to the @bbthanks twitter feed and see their contributions above them. This campaign was highly visible to all motorists who passed and included the local community in their outreach.